A new year brings new classic car expositions, and the first to traditionally take its spot in our calendar is Interclassics Maastricht. 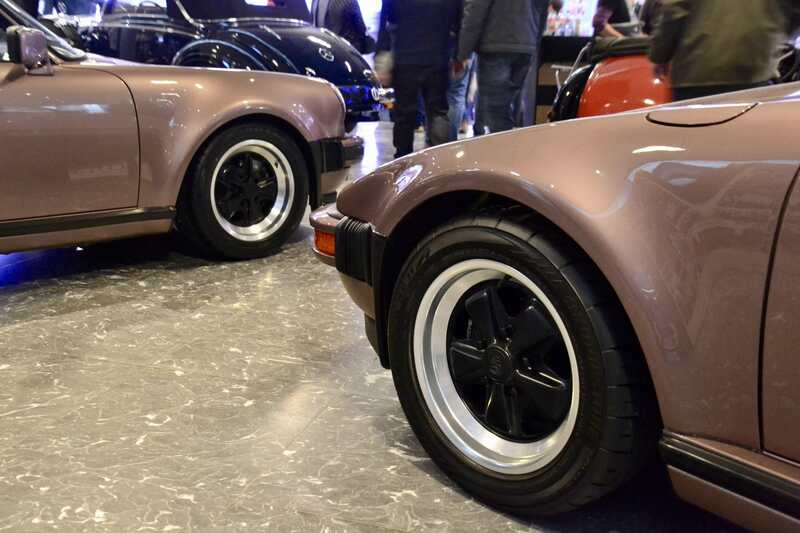 Like its Belgian sister expo, the biggest classic motorshow in Holland is generally worth a visit. 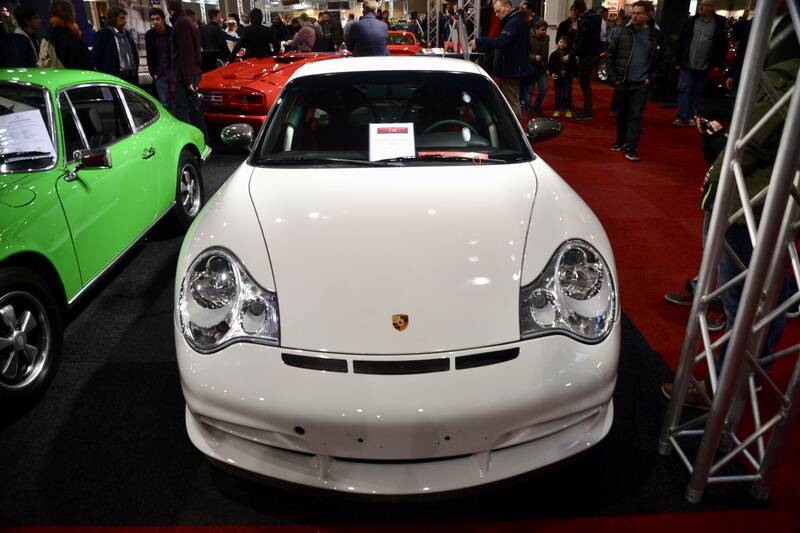 Not nearly as large as Techno Classica, and lacking the absolute showstoppers of its German counterpart, Interclassics Maastricht differentiates itself thanks to a very diverse offering and a low-threshold atmosphere. This year brought us plenty of great classic cars, a big crowd and quite some great-pedigree 911s. We take a closer look at 3 examples. 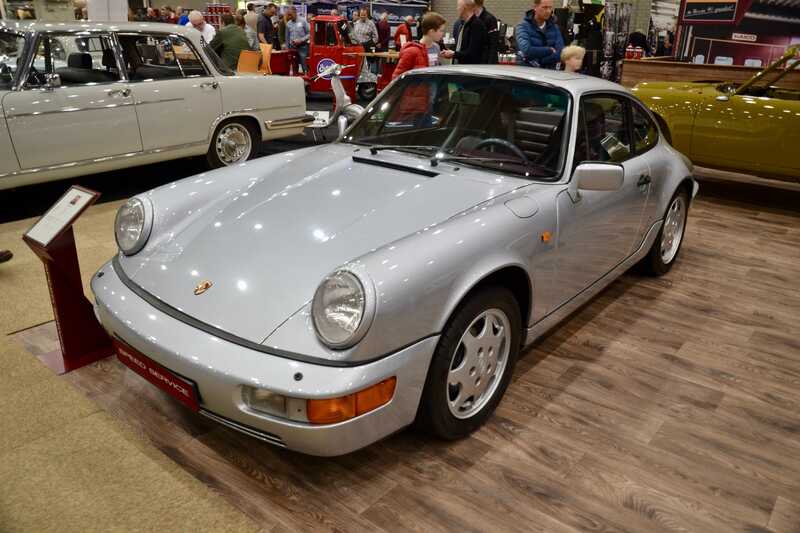 Our first pick is an early 964 Carrera 2 finished in a tasteful Silver Metallic with Burgundy leather interior. 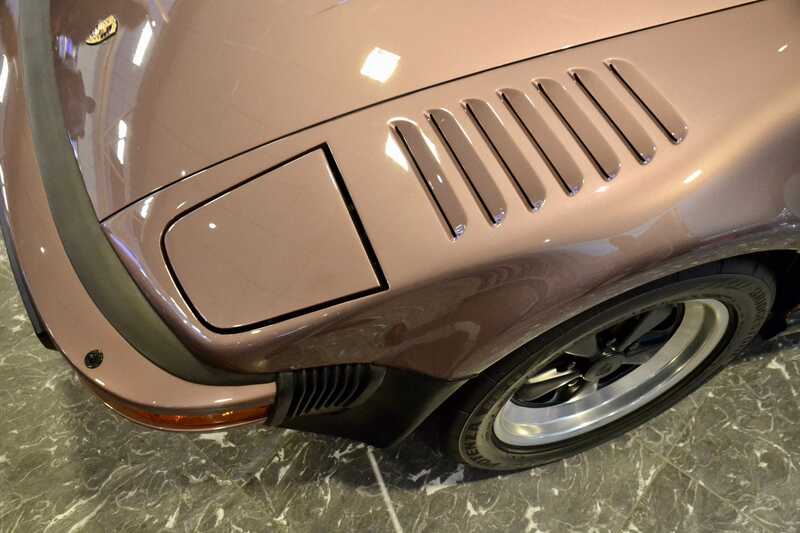 This mint example was offered by the 911 specialists of Speed Service and was restored to near-new condition. 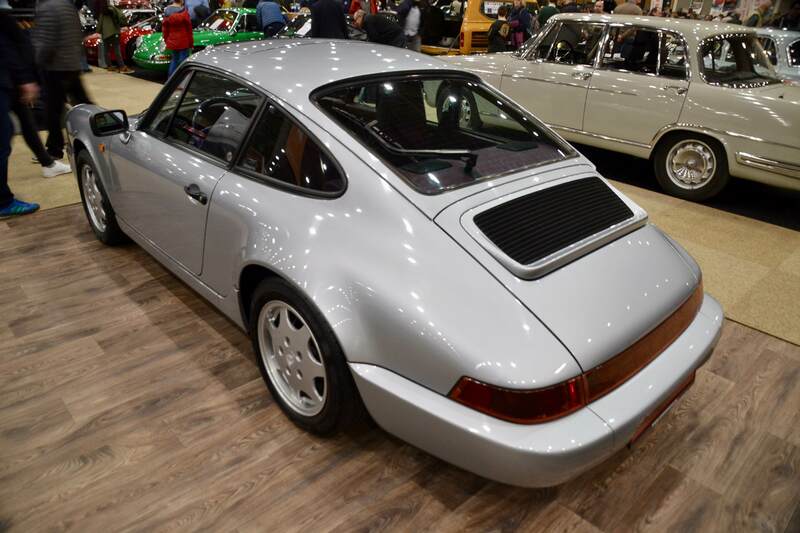 The Design 90 rims are less sporty than their Cup alternatives, yet they match greatly with the spec, rendering a very understated yet classy 964. 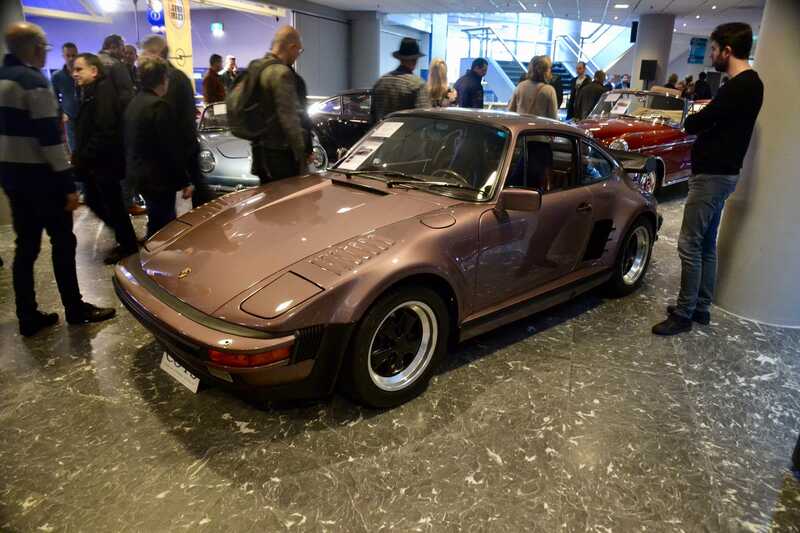 Not only is this 1987 US spec Slantnose the only one of its kind delivered in Cassis Red Metallic, it was also on display with a very rare 930 convertible (1 of only 205) in the exact same color. 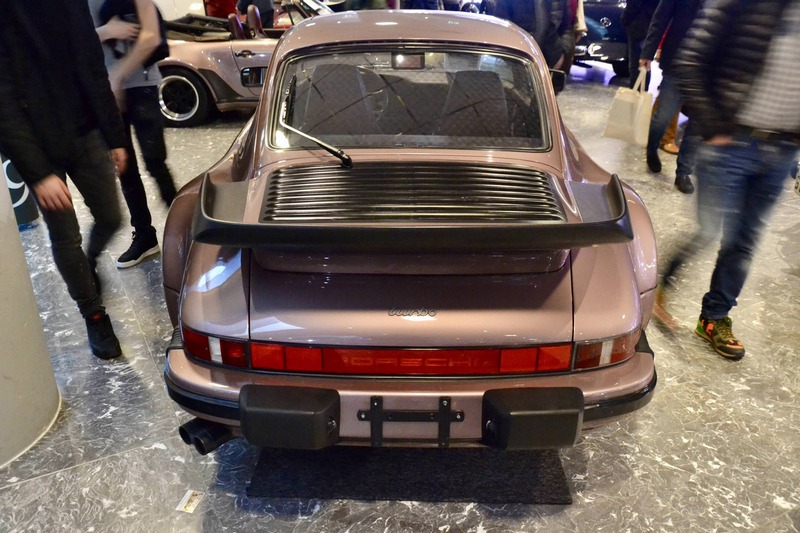 Having spent 27 years with the same owner, the car remained in absolute mint condition and was definitely the most special 911 on display at Grandes Marques by Coys. With only 356 examples produced, the 997 Speedster definitely ticks the rarity box that many top-grade 911 collectors are looking for. 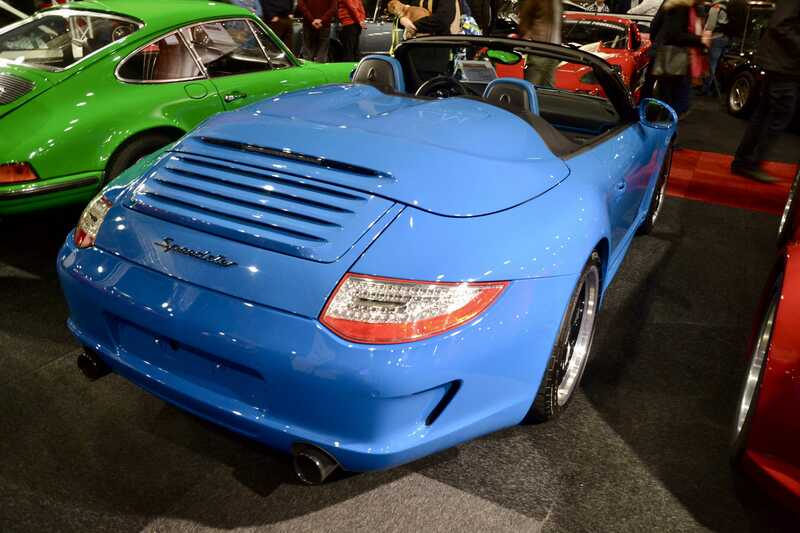 This example is finished in Pure Blue; a colour exclusive to the Speedster which together with Carrera White was one of two standard colours available upon launch end 2010. 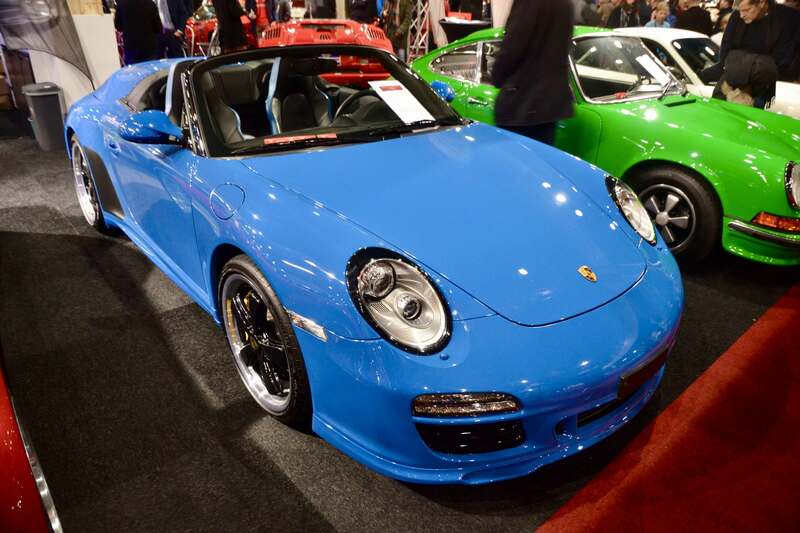 The car was introduced as part of Porsche Exclusive’s 25th Anniversary celebration, together with the gorgeous 997 Sport Classic. 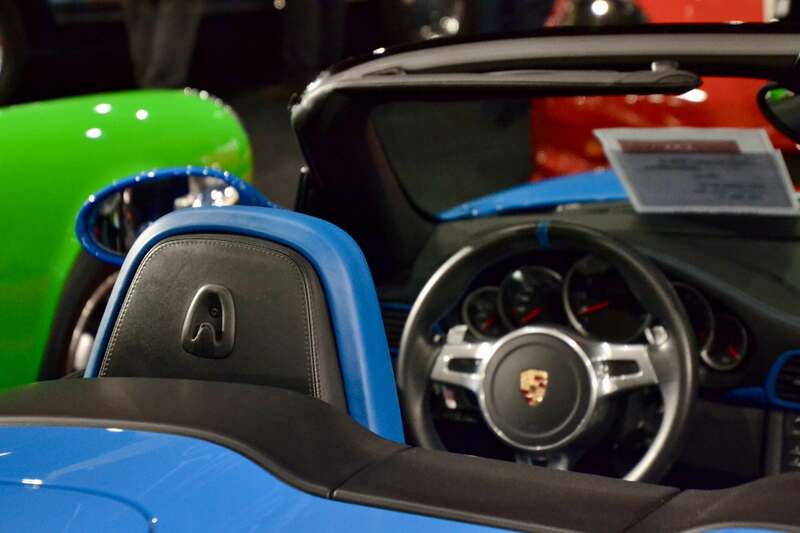 This context made Porsche step away from the Speedster’s original lightweight and purebred history. 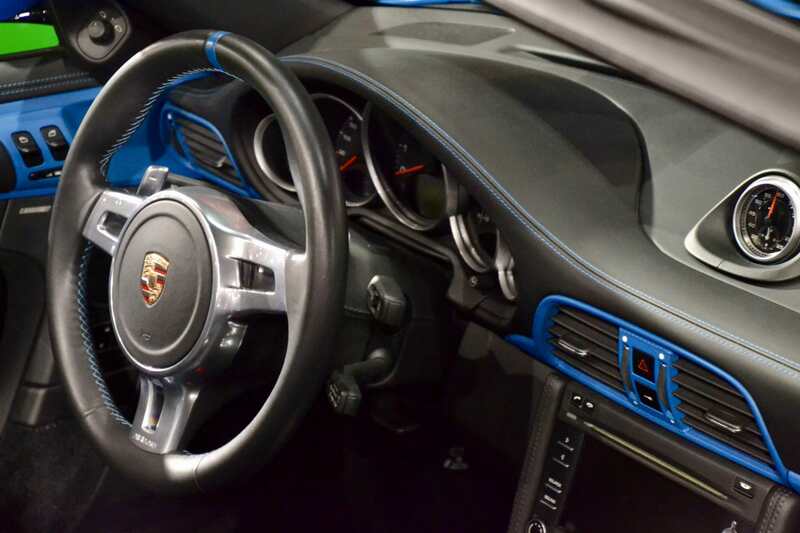 The 997 Speedster was rather a demonstration of Porsche Exclusive’s competence, featuring almost all optional equipment of the 997 series including a hand-finished interior in black smooth-finish leather with numerous exterior colour painted details, exclusive to the Speedster. With only 682 units built, the 996 GT3 RS is finally catching up in the youngtimer game, claiming its place as the first GT3 RS of its kind. 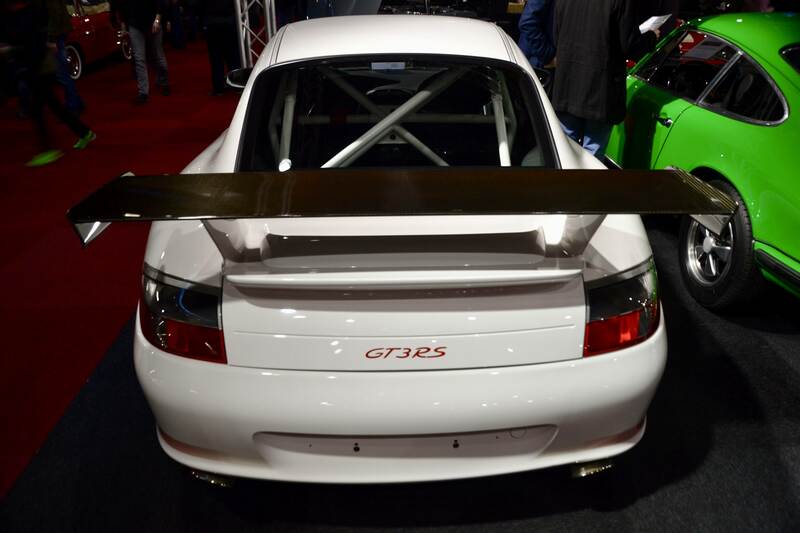 In a time way before any PDK or PTS craze, this OG GT3 RS is somewhat of a marvel in simplicity. 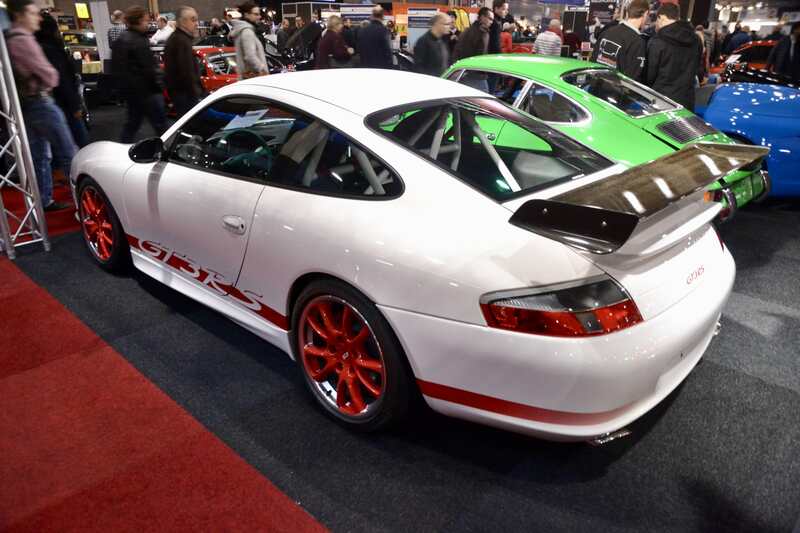 Shaving off 50 kilograms versus the GT3, this 996 GT3 RS delivered a wonderfully pure driving experience thanks to its 375bhp flat-six, capable of reaching 7,400rpm. This particular example features ceramic brakes, radio-delete and a full roll cage. What's not to love!